You Sort-of Know This Guy: Driven offers insight into Larry H. Miller only halfway. 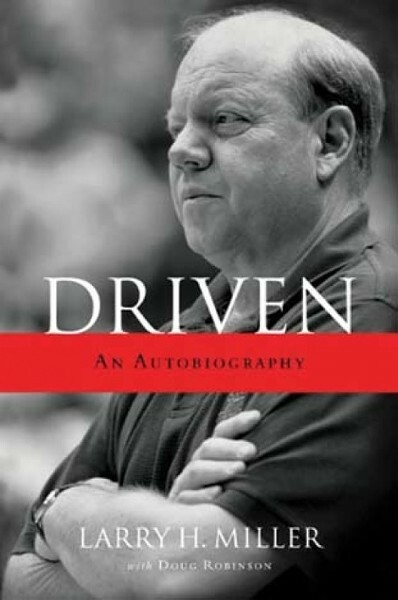 Doug Robinson writes in the introduction to Driven: An Autobiography that, “Perhaps only Brigham Young has done more for Utah than Larry H. Miller.” While that seems like a stretch, it could be said that, while Young symbolizes Mormon Utah in the 19th century, Miller’s life perfectly symbolizes Utah in the 20th century: the balance of clinging to Mormon roots while striving to be noticed in the broader world. The best illustration of this conundrum happened in 1985, when the relatively unknown car dealer arranged a meeting with a future president of the LDS Church to ask for advice about whether he should buy half of a basketball team—composed mainly of African Americans who played in front of beer-drinking crowds—to keep the franchise in Zion. That future president, Gordon B. Hinckley, told Miller to go for it since it would be good PR for Utah, and by extension, the church. Miller’s personality was big enough to embrace Utah’s contradictions and many different factions, but this autobiography, published by Deseret Book, is skewed to appeal to a Mormon audience. Miller writes about how his business career took off when he started paying tithing. There’s a chapter on not attending games on Sundays; chapters with titles like “Passing Along America’s Heritage” read as if they could have been written by Glenn Beck. The short story “The Five-dollar Job,” an LDS Sunday School staple, is even tacked on at the end. Other parts of Miller’s life are not featured so prominently. Jazz fans looking for the sort of behind-the-scenes anecdotes Miller would often relate on a local sports radio show will be disappointed that they get only a few pages of gushing praise for John Stockton, and less than two pages on Karl Malone—just long enough for Miller to recount how a retired Mailman apologized to him. The most interesting parts of the book illustrate how the seeds of Miller’s work ethic and business sense were planted while he was growing up amid a difficult home life, followed by the stories of his early days in business and the risks he was willing to take because he believed so strongly in his own abilities. The high point comes when Miller relates how, over the space of a few days, he convinced four local banks to lend him a total of $8 million to buy half of the Jazz, a team that had only ever lost money. Since Miller died while Robinson was working on the book with him, Robinson often tries to fill in the gaps with “postscripts” to many of the chapters. In some cases, these postscripts run longer than the chapters themselves. Given the situation, going this route is understandable, but the end result is a book that ends up in a no man’s land somewhere between autobiography and biography. We don’t get enough of Miller’s voice, while some of what Robinson tosses in only makes us want to know more about those topics. For example, Larry’s widow, Gail, and son, Greg (who now runs the family empire) both emerge as voices that would be interesting to hear more from. The younger Miller is somewhat critical of his father’s business management style in his later years, while Gail says, “In reality, we didn’t have many common interests,” including sitting courtside at Jazz games. She laments that dinners with friends in the arena before games were “the only real socializing we did; the rest was obligatory.” Both refer to his difficult temper. Give Robinson credit for including such comments to give us a better idea of the entire man, and not just turning this into a cheerleading exercise. But they represent just the tip of the iceberg of what we’d like to know about Miller’s life beyond what’s presented here. If this autobiography shows us anything, it’s that what we need next is a full-fledged biography of one of the most interesting, and important, figures in Utah history.